The northern command of the Ethiopian army is preparing for a special celebration of the seventh national defense day in the disputed border town of Badme between Ethiopia and Eritrea following the signing of a peace agreement between the two countries last September under the auspices of Saudi Arabia. The Northern Command held a press conference at its headquarters to unveil its arrangements for the 7th Ethiopian National Day of Defense in the formerly disputed border town of Badme between Ethiopia and Eritrea. The Addis Ababa-Asmara peace agreement helped create a smooth movement between the two peoples, enabling them to carry out peaceful activities and train their forces safely, said Brigadier General Khader Ararsa, deputy director general of logistics for the Ethiopian army’s northern command. He added that the expansion work of the Ethiopian Defense Forces is increasing in institutional terms, adding that the army is intensifying its efforts to improve the participation of its members of all nationalities of Ethiopia. Brigadier-General Ghabrazabhir Pini, deputy director of human resources management at the Northern Command, said: “What distinguishes this celebration is that it is unique to the Ethiopian army and will be located at the site where the two forces left the trench. Brigadier General Ghabrazabihir pointed out that this celebration is the first after the change, reform and peace between the two countries, so the members of the armed forces will take this opportunity to renew the contract to serve the nation and the two peoples. The ceremony will include a festival to display Ethiopian military capabilities, as well as the honoring and farewell of some individuals who have worked for a long time in the armed forces. Representatives of the Tigray and Amhara regions in the north of the country will attend. In July 2018, Eritrea and Ethiopia signed a peace agreement between the two countries, which led to an improvement in relations between them, which put an end to a two-decade conflict and in turn opened the border that had been closed for more than two decades. Mitigating tensions in the Horn of Africa. 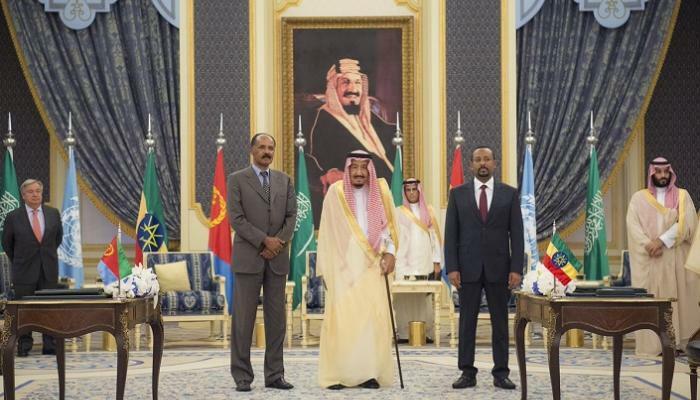 After 20 years of disagreements and rapture between the two countries, the efforts of Saudi Arabia and the United Arab Emirates succeeded in ending it, after sponsoring peace between Addis Ababa and Asmara, especially with the signs of political reform launched by Ethiopian Prime Minister Abe Ahmed and the Eritrean understanding of peace and harmony for its African neighbor . 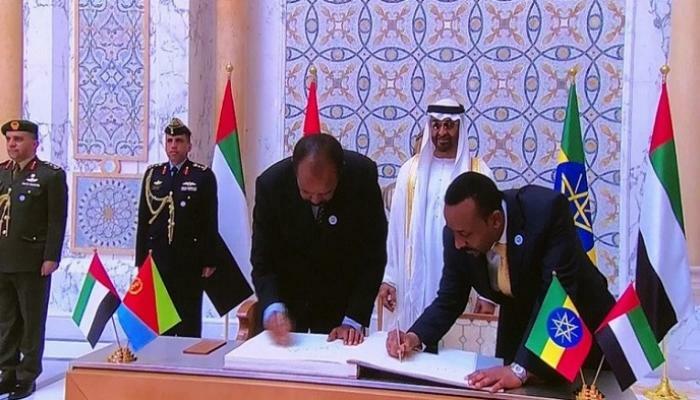 The peace agreement between the two neighbors under the patronage of Riyadh and Abu Dhabi complemented efforts and efforts launched in April and culminated in practical steps on the road to peace when the Ethiopian Prime Minister pledged to observe all the terms of the 2000 peace agreement.